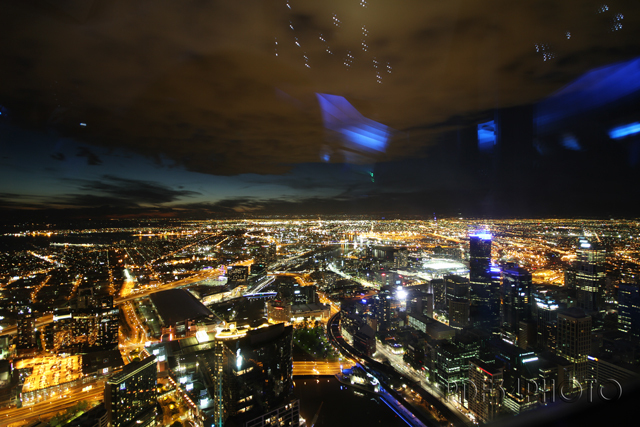 Melbourne di notte vista dall’ Eureka Skydeck. La città australiana risulta essere una tra le più grandi al mondo per estensione… di notte le luci della città si fondono con l’orizzonte. Melbourne at night view from the Eureka Skydeck. The Australian city turns out to be one of the largest in the world in extension … at night the city lights merge with the horizon. This entry was posted in Australia, Foto, Fotografia, Photo, Photography, TRavel, Viaggi and tagged eureka skydeck, Foto, Fotografia, Melbourne, Photo, Photography, postaday, Travel, Urban. Bookmark the permalink.